1. Wash and dry containers for storing your pesto. 2. Lightly toast pinenuts (in oven on baking tray or in dry frypan over medium heat on stove top) until they begin to change colour to golden. Immediately take off heat and place in a container to cool. 3. Put cheese in food processor and pulse until consistency of large crumbs. Remove from processor and set aside. 5. 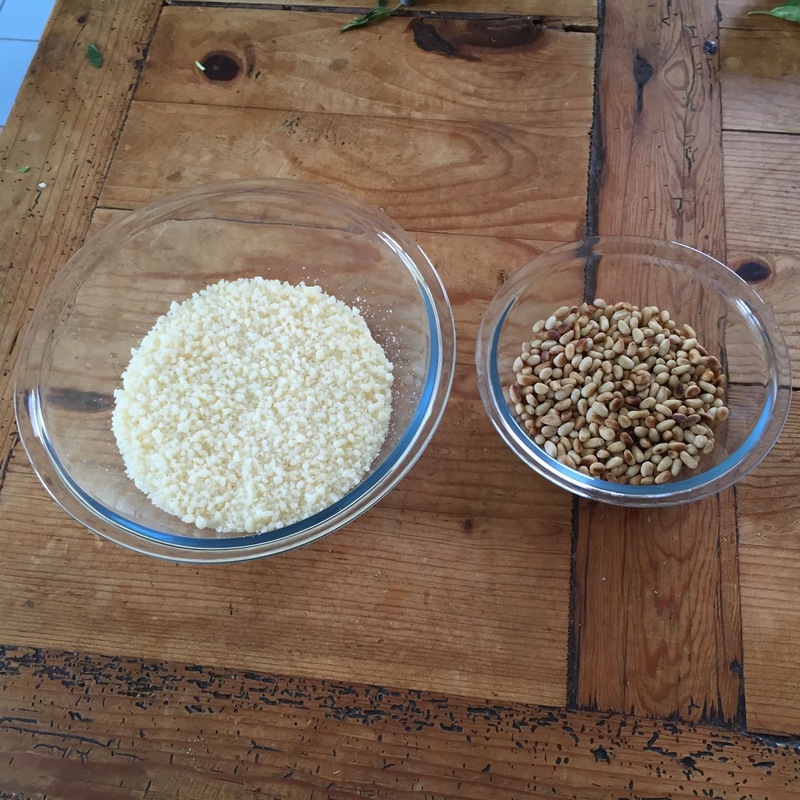 Place leaves and toasted pinenuts in blender and pulse until leaves are roughly chopped. Add olive oil and pulse until the mixture is smooth. Scrape down sides of blender as needed. 6. Add the cheese, garlic salt and pepper and pulse until blended. Scrape down sides of blender as needed. 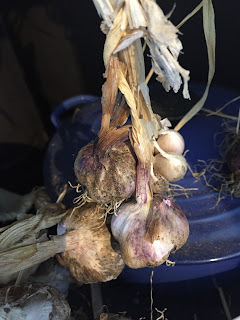 • Keep an eye on pinenuts when toasting them, they can turn colour very quickly and burn. Stir during the process and when done immediately remove not just from the heat but also from the pan/tray as they can keep on cooking and can burn. • Adjust the amount of garlic to suit your taste and the pungency of the garlic you’re using. 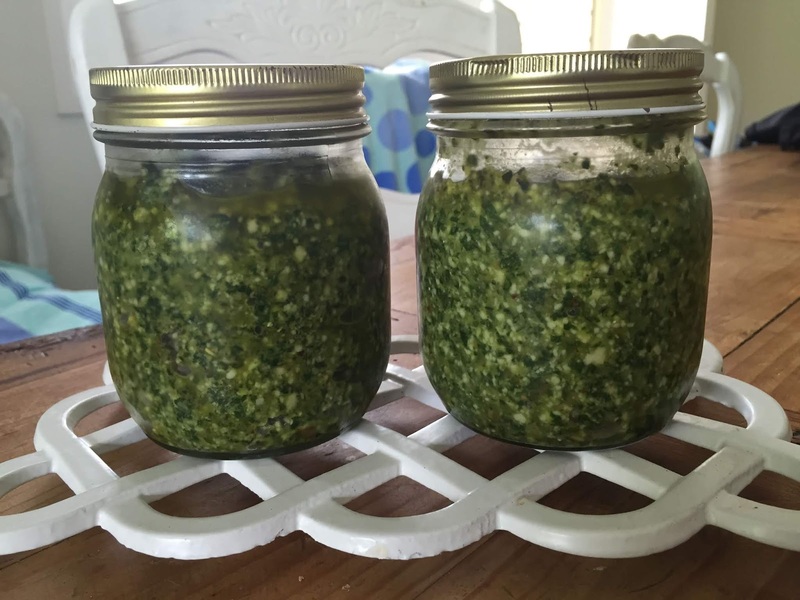 • You may notice a film of oil forming on the top of the pesto as you pack it in containers. This is a good thing as it helps preserve the pesto and keep it from discolouring. • This recipe is easily doubled, depending on the size of your food processor bowl. 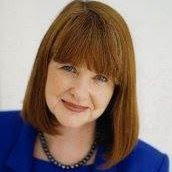 Kandy Shepherd is a multi-published, award-winning author of contemporary romance and women’s fiction. She lives on a small farm in the Blue Mountains near Sydney, Australia, with her family and a menagerie of four-legged friends. She likes to travel whenever she can! Visit Kandy Shepherd at her Website. Kandy Shepherd has a new book out this month! Your pesto looks really good. Having some frozen for winter use sounds like an excellent idea. I'll have to give this a try. The pesto freezes well, Leigh! Good luck with making it. Sounds and looks delicious although I don't think we could grow enough basil in our coler country. Could always make a small batch, of course. Thank you, Sheila. 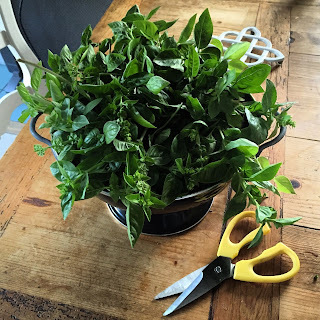 We have a hot summer but quite a cold winter and the basil is gone at the first hint of frost! That's another reason I make the pesto to preserve it. the pesto looks so good as does the book! Thank you on both counts, Christine! Oh I have pesto envy we are up our chin in snow I just came in from shoveling and saw your post I make pesto in the summer and do the ice cube tray so I can add it to soups stews and sauces. Acorn, I am stunned at the snow and cold this year in your part of the world! We're suffering a heat wave here! 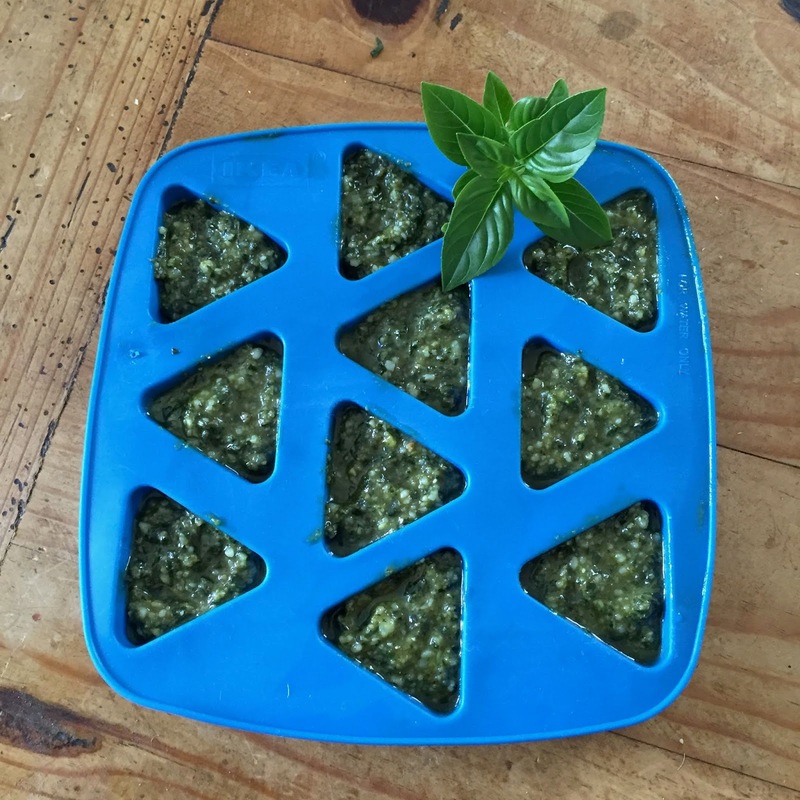 I'm glad you do the ice cube tray trick with your pesto, I find it so useful. I'm glad you're a pesto lover too, Caroline! I love pesto. 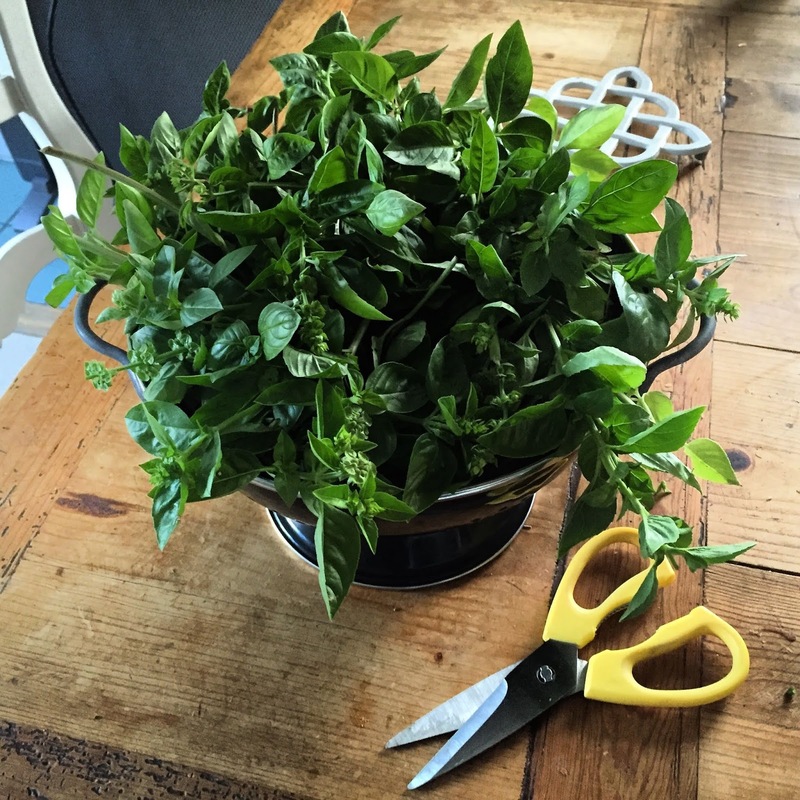 I had some basil in my kitchen but it died, I need to buy a new plant. This pesto looks amazing, I need to try this recipe. Thank you for sharing. Thank you Ivana, I hope the recipe works well for you if you get a chance to try it! Thank you, I'm so glad you enjoyed the post. Hope you're having a great weekend too! Hi Connie, I find pine nuts taste better when lightly toasted to bring out the flavour. They are yummy on a salad and with broccoli. Where I live they can be expensive too. I don't know if you have an ALDI or similar discount supermarket near you but I buy my pine nuts, cheese and olive oil for pesto from there! People also use walnuts and other nuts for pesto, but I have only made it with pine nuts. Lovely to meet another pesto lover, Irma! I hope you have a lovely Sunday too. This looks so delicious. I love pesto! Thank you, Suzanne. I love pesto too, and I love the scent of the basil when I'm making it! It really is yummy, Magda! Sounds wonderful. Over here pine nuts is expensive, maybe I will substitute with other nuts. Pine nuts certainly can be expensive, Nancy. I believe walnuts make delicious pesto, though I haven't tried making it with walnuts myself. However I have tasted a homemade pesto made with macadamia nuts and it was delicious. Great post, so nice and interesting, love it! Thank you so much, Elena. Glad you enjoyed it! I've made pesto like this before! It was delicious. That's great to see, Sherry. There's nothing like homemade, is there! 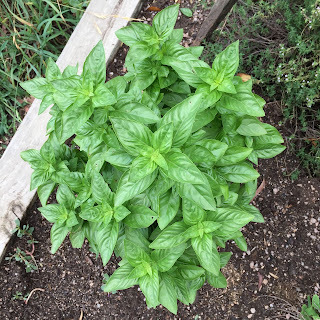 I have some basil, I should your recipe and tips. Hope it works well for you Tanza. I'm making a new batch today! This pesto really is good, Sandra. I hope you get a chance to try it. And read the story! 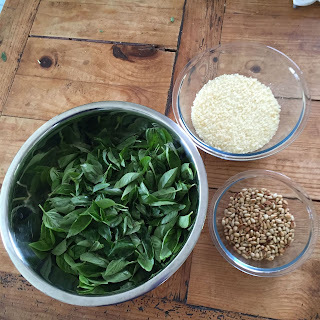 I'm making a new batch of pesto today, LoveT! 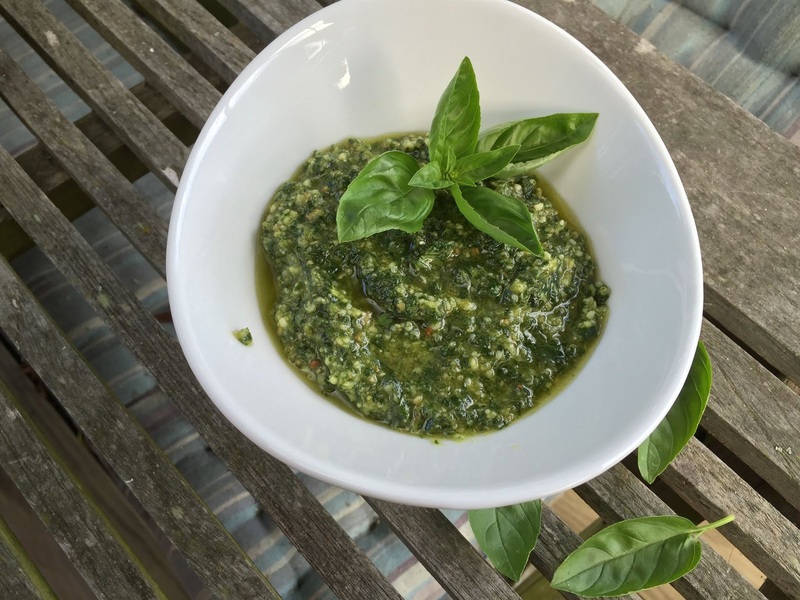 Your pesto looks great! Thank you, I will try your recipe ! Hope the recipe works well for you, Ela. I like it so much I'm making some more today! 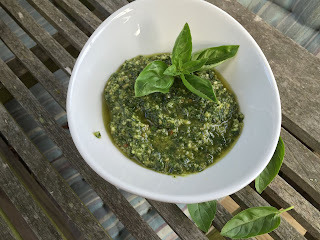 I have never made pesto before, this looks an excellent one to start with. Thank you and for the book recommend. I've made it this way so many time, Denise, and the recipe seems to work well! Hope you enjoy it. 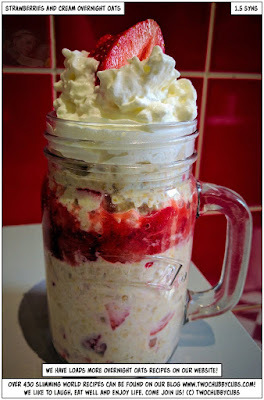 It really is yummy, Iwona. I think toasting the pine nuts gives it a particularly nice taste. I see a delicious homemade basil and Pinenut Pesto. Great tasting you put the recipe there. I've made the recipe many times, Helma. In fact I'm making some more today! I hope you get a chance to try it.